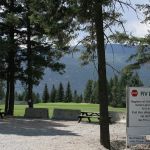 Ask fellow campers about "Edgewater Hilltop Par 3 Golf & RV Park" and nearby attractions. No discounts offered. Rate was $33 USD. Site was pull-thru; level; gravel; FHU with 30 amps; with a picnic table and fire pit. This is a small park and the sites are close, but not so close to have an issue with slideouts or awnings. We had goo Verizon cell and internet reception and good DishTV satellite reception. The park WiFi worked well. 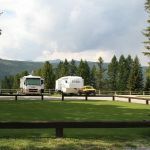 The larger campgrounds were full, but this small park worked well for a two night stay. We would stay again. 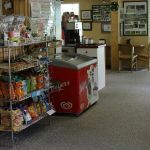 We camped at Edgewater Hilltop Par 3 Golf & RV Park in a Motorhome. 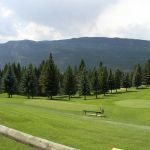 Are you affiliated with Edgewater Hilltop Par 3 Golf & RV Park ?